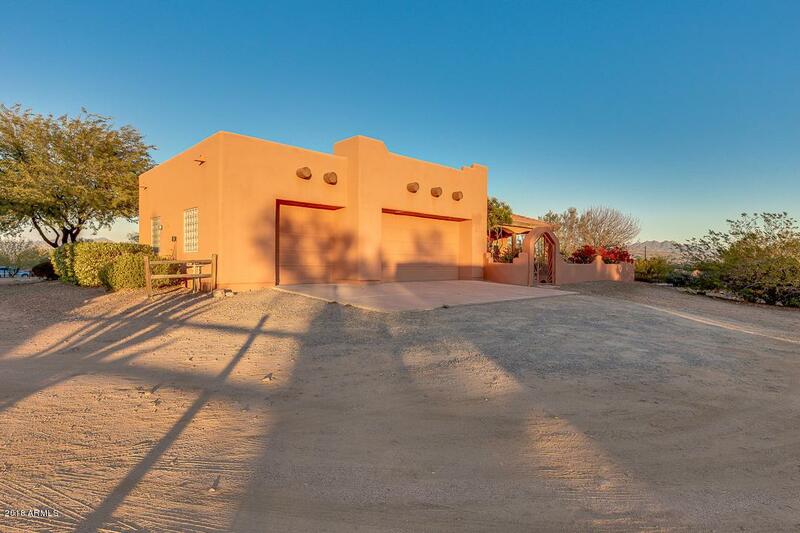 **Don't miss out, One of the few homes in the area offering CITY WATER** The ultimate desert country property!! 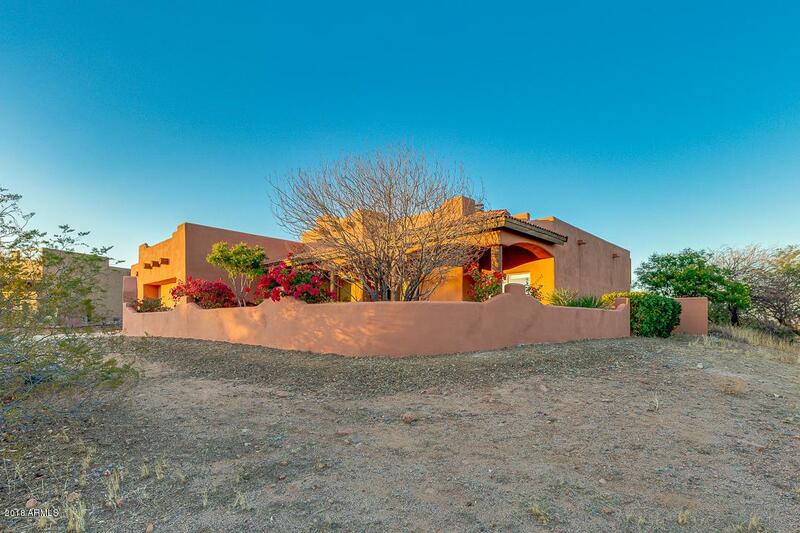 Enjoy stunning panoramic views of McDowell Mountain Park, Four Peaks, Mazatzal mountains & dramatic desert sunsets all from your very own private retreat! 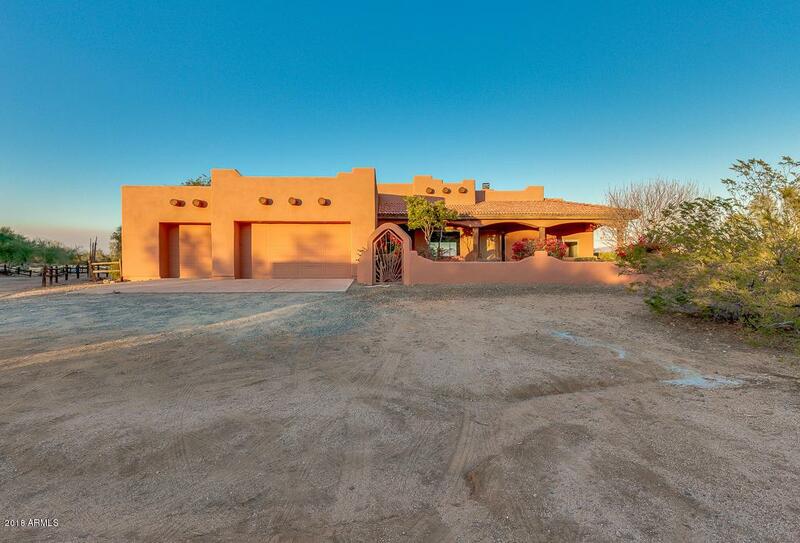 Large open floor plan featuring gas fireplace, surround sound throughout, wet bar & sliding doors that open to the backyard for relaxation & entertainment. Kitchen is built for a chef; commercial grade Viking appliances, granite countertops, alder cabinets & lots of storage! 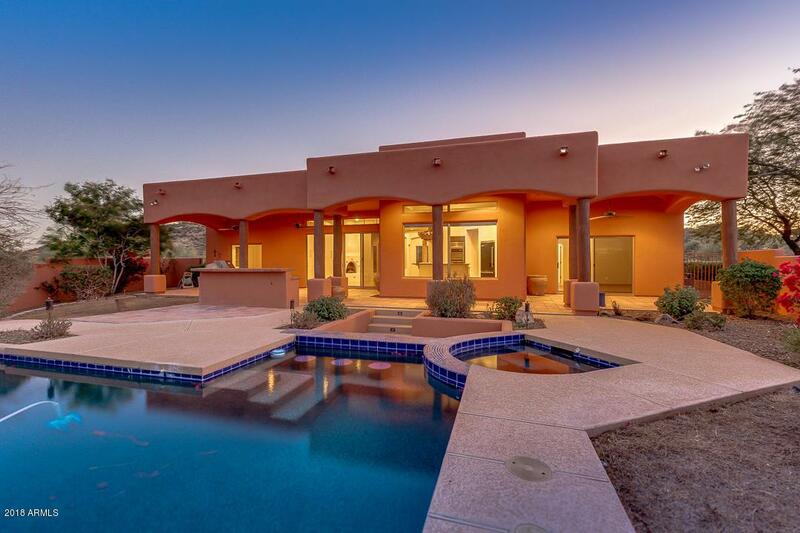 Relax in the resort style backyard with huge veranda style 1200ft patio w/vega columns, sparkling heated pebble tech pool with swim up bar and spa, built-in BBQ, & breathtaking views! Back of property has been cleared & is ready for your horse facility. Cross Street Dynamite/Rio Verde & 174th St.